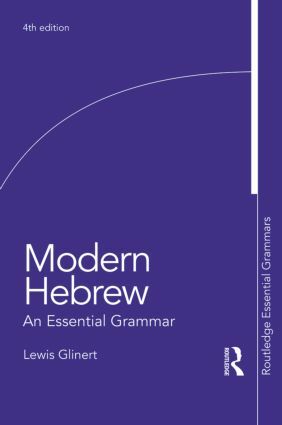 This fourth edition of Hebrew: An Essential Grammar includes expanded coverage of some of the key areas of Hebrew grammar including roots, adverbs and nouns. Additional examples have been added throughout to further clarify many of the grammar points with illustrations from current usage. The Grammar serves as a reference source for the learner or user of Hebrew irrespective of level, by setting out the complexities of the language in short, readable sections that are clear and free from jargon. It is ideal both for independent study and for students on taught course.